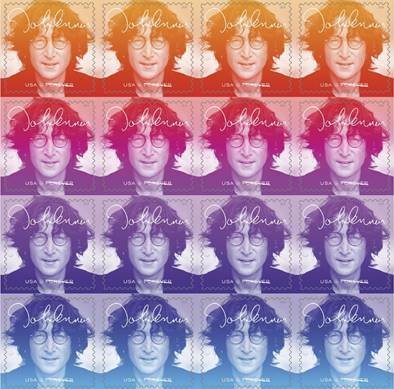 This stamp, honoring legendary singer and songwriter John Lennon, is the latest in a series of Music Icons stamps. Beloved around the world, Lennon was successful both as a founding member of the Beatles and as a solo artist. Lennon's music continues to speak for truth, peace, and tolerance.